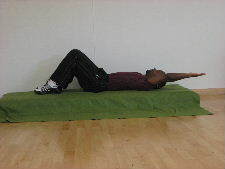 Stomach Crunches are one of the most popular stomach exercises, and you can change the intensity of your crunches simply by changing your hand position. Below are 5 hand positions that you can use to change how hard your crunches will feel. This is such a simple way to make crunches more challenging. As your arms move further away from your belly button, the exercise gets more difficult because the lever length changes. 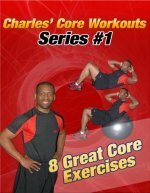 This is a simple way to change your crunches, but you can apply this principle to many stomach exercises and many forms of crunches. You can make exercises more difficult by increasing the lever length. Visit the Picture Directory of Ab Exercises and Stomach Exercises to learn all the stomach exercises on this website.